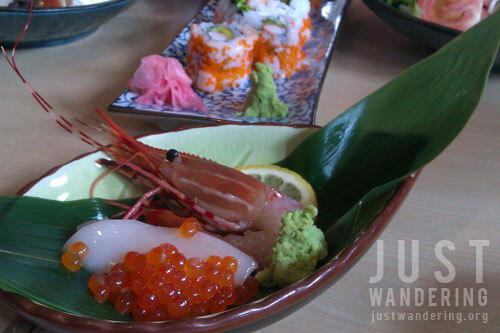 If you’ve been following this blog for quite some time now, you probably already know that I love Japanese food. So when the invite came to try a Japanese restaurant in Batangas, I had to accept, even if it meant losing a couple of hours of sleep. It was worth it because the food was incredible. Head chef Toshiya Honda made the trip even more special with specially ordered sashimi from Hokkaido, which arrived fresh that morning. Fresh roe that burst delicately in your mouth with just the right amount of saltiness that grappling with the chopsticks worth the effort, squid that is tender not rubbery, and prawn so fresh it’s served raw. Though this isn’t included in the menu, there are plenty of items in there that would satisfy any craving or preference. 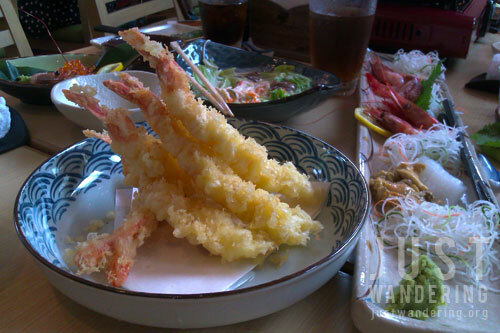 There is, of course, the ubiquitous ebi tempura, which they do really well. Honda-san tells us that they have a dedicated guy that makes the tempura. The restaurant’s main clientele are the Japanese nationals who work in the Industrial park. True enough, the place was filled with them when we arrived around at half past noon. While its location may discourage you to check them out, the entrance to the First Philippine Industrial Park (which is just 100 meters from Minori-Tei), is located right at the main road when you exit Calamba from SLEX. This gives you a new dining option when traveling south. 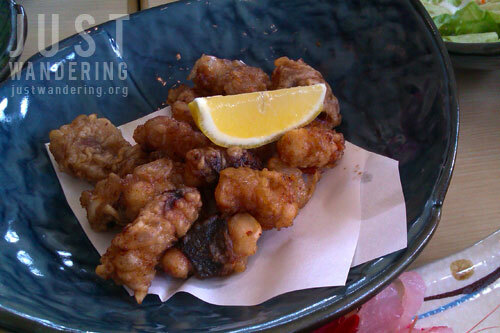 Prices are very reasonable for Japanese cuisine, specially for such good quality. It’s pretty much in the same price range as the restaurants in Little Tokyo in Makati. Hi everyone, I apply for a tourist visa, and the address will send will be in my agent address offcie, Is it possible ba to change it with my address if I go to the office of Australian immigration?? Yay! I suddenly crave for maki and sushi! I will surely check out this restaurant when I find myself in Batangas!